1. Simply dilute according to the climate & weather conditions. 2. 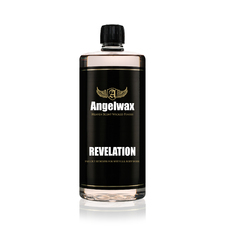 Angelwax CLARITY will clean and protect your windscreen by adding a hydrophobic coating to the glass. Top Tip: Clean the glass thoroughly with Angelwax VISION and apply a hydrophobic layer of Angelwax H2GO to the windscreen for the ultimate rain repellent.